Have you been wanting to get started using essential oils, but don’t know where to begin? You are in the right place!! I, too, had no idea what an essential oil was when I was introduced to them several years ago. I thought the gal teaching the class was a little crazy in fact, because I had no idea essential oils could be used for so many things!?! I bought a couple of bottles to try for my son who needed respiratory support and for myself because I needed digestive support. I didn’t think the oils would make much of a difference, honestly, but I thought it was worth a try! Within one application I was amazed to see the difference in my son and in myself! After just a week of using the oils, my son’s breathing was better than it had been in months! My digestive system felt better than it had in years and my curiosity peaked from there! How could just a few drops of an essential oil seem so powerful and offer such immediate and prolonged relief when nothing else had provided this relief in the past? I set out on a quest to learn. And learn I did!! I poured over books, listened to webinars and read research articles. I wanted to learn not only how to use these precious essential oils but also how and why they worked so quickly and effectively?! In a nutshell what I learned is our bodies were created to heal themselves when given the proper support. The individual constituents or teeny-tiny molecules that make up essential oils provide the perfect, natural support our bodies need. Because essential oils come from nature, our bodies recognize them as a safe substance and welcome them in to our cells. Essential oils work at a cellular level and since the cell walls are made of oils, they can cross these cell membranes easily and work to support the body unlike any other substances. Essential oils are naturally occurring, volatile aromatic compounds found in the seeds, bark, stems, roots, flowers, and other parts of plants. Essential oils give plants their distinctive smells and are useful to protect plants. Through steam distillation, we can capture the essence of plants and then use these protective properties to support our own bodies. Learning to use essential oils is fun! There are numerous books and resources available to learn the application and usage of essential oils. If you are brand new to essential oils, you may find my Home Essentials Wellness Guide helpful as it contains the TOP 10 oils and how to use them in your home. Please complete this form and I will send you a free ebook on the aromatic use of essential oils! Are you already a doTERRA Wholesale Customer or Wellness Advocate? Would you like to be added to my monthly newsletter to be informed of upcoming free webinars and classes? Your information has been successfully submitted! I will be sending you an email shortly with the ebook included. Be careful though, as not all essential oils are the same! To get the kind of results I have been noticing with my family, you need to make sure the purity and potency of the essential oils you use are the highest quality. 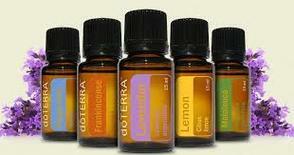 dōTERRA offers the highest quality essential oils in the industry. dōTERRA oils are Certified Pure Therapeutic Grade (CPTG) and are beyond organic standards with no filler, artificial ingredient, chemical substitutes or contaminants. They are sourced all over the world and each batch of oil is tested by a 3rd party for purity and potency. That is why we choose dōTERRA and only dōTERRA! Along with being the purest and most potent, dōTERRA’s Co-Impact Sourcing model enables growers to be paid fair and predictable prices and the resulting crops benefit from improved growing practices. They take fair trade to a whole new level!! I fell even more in love with dōTERRA when I heard about the impact they are making in the world. dōTERRA’s company culture is amazing. They operate with an incredibly high degree of integrity and generosity, and it is a joy and privilege to use and share their oils with others. Not only does dōTERRA offer the greatest essential oils, there is also an excellent business opportunity! The ability to get the best discounts possible on essential oils & products. The opportunity to share life-changing products as you partner with a mission-focused, research-based, wellness company. Access to our team’s exclusive calls, webinars, trainings, incentives, and challenge programs. Mentoring by me and my frontline team leaders: Our goal is to help you reach your goals! The opportunity to create real residual income from a legitimate home-based business and the limitless possibilities that come from that! Connect with me for periodic email updates!